Souttar played for the Dundee United development team, including alongside his brother John in February 2015. 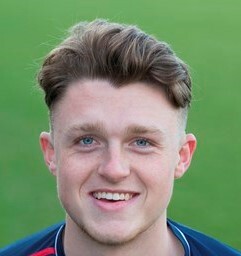 Having featured in a number of match day squads and having been listed as a substitute for the first team, Souttar signed a contract extension in December 2015, tying him to Dundee United until May 2018. He made his first team debut against Partick Thistle in a Scottish Premiership match on 10 May 2016 and scored his first senior goal against Kilmarnock four days later. He officially joined Stoke on 29 September 2016, signing a three-year contract for an undisclosed fee. Souttar made his Stoke debut on 23 August 2017 in a 4–0 EFL Cup win over Rochdale. After signing a new contract with Stoke, Souttar joined Scottish Premiership side Ross County on 24 January 2018 until the end of the season.